Are you fed up with all these problems with pallets and containers? Would you like to focus on your own activity and lower the costs of new packaging, taking care of natural environment in the same time? If your answer is “yes”, pooling is a perfect solution for you. That is how it works! No doubt, you use pallets and other containers to deliver your products to your clients. Unfortunately, you are not able to retrieve them – they are either bringing benefits to someone else or become useless and generate costs for your company. Thanks to pooling service you can use them all again. We collect empty containers from your clients and return the exact number of logistic products that you require at the indicated time (JIT). We will also make sure they are fully functional. What is more, you will have an online access to track the whole process. It is that easy! 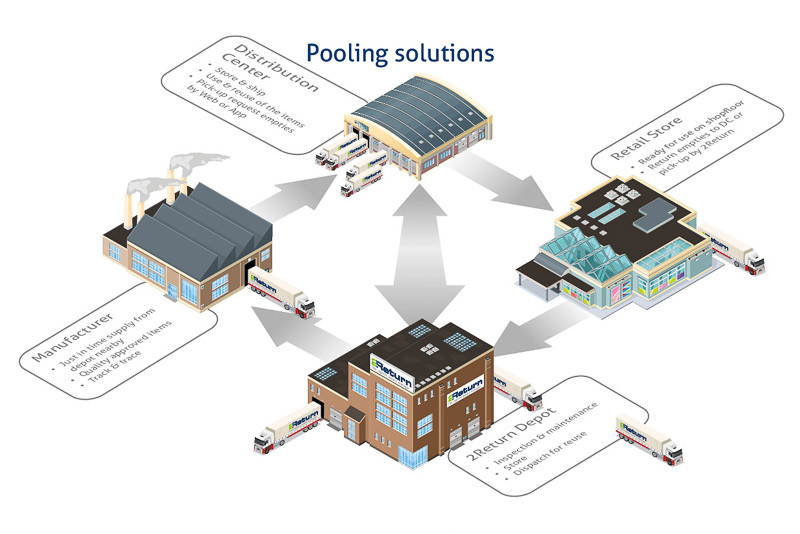 Which products are involved in the pooling service? You do not have to worry about buying new pallets and containers. Rotom (2Return) is the only owner of the products. We will help you choose the most suitable ones that will address your needs, or we will use the same type of containers you have been using recently. 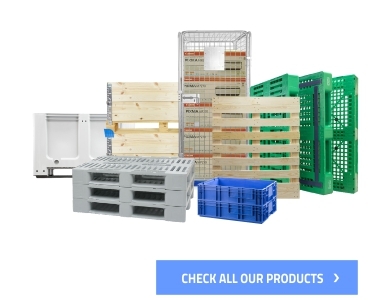 In most cases we provide wooden or plastic pallets, metal or plastic boxes, which may also be foldable. It is very important, as their return transport is much more effective. If you wish to own the products and only require our assistance with administering the pooling and possible repairs of pallets and containers – be sure to check our offer of packaging recovery. We will comprehensively take care of the process of retrieving and maintaining (repairing) the products, giving you a full control over it at the same time. Is pooling an economic idea? 2. No additional costs connected with the administration of the pooling system. 3. No more stocked warehouses. 4. Standardisation and safety in service of the containers. 5. Preservation of the natural environment. Just fill in the form below – you will receive the copy of it on your e-mail. You can also ask about pooling directly from the product page. In both cases, we will contact you as soon as possible. We will analyse your supply chain in cooperation with you and eventually offer the most suitable solution for free. We invite you to visit our special 2Return website which briefly explains the subject of the pooling service, including reviews written by our clients. You will also have an opportunity to make more specific inquiries. 2Return belongs to Rotom Group and it specialises in pooling, packaging recovery and RTI Management. It makes use of Rotom Group’s international potential and trustworthy business associates. Thanks to these, 2Return services are available across the whole Europe. Advanced pooling operational system gives you an access to all information online. 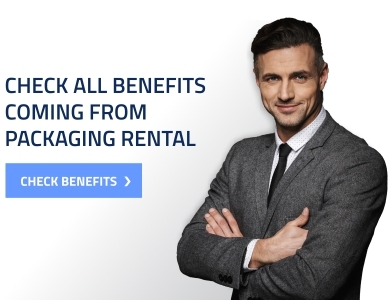 2Return offers a wide range of products, which can be successfully included in the pooling process. You will find more information about pooling, as well as our other services, on the 2Return website. We have 30 years of experience on the European market.